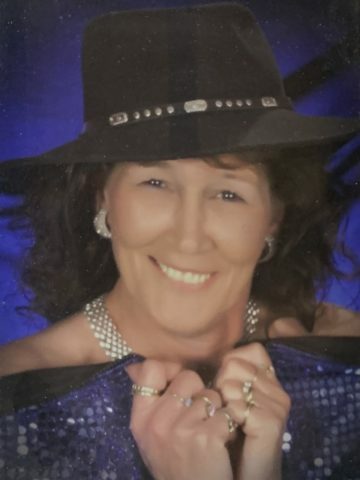 Robin Lynn Clinard age 55 of Cedar Hill, passed away on November 16, 2018 at NorthCrest Medical Center. She was born on March 25, 1963 in Baltimore, MD. Robin was described as a happy person always smiling and making the best out of everything. She enjoyed early mornings drinking coffee, playing games, and watching the sun rise. She just finished her Associates Degree in Business Managements completing a life long dream. On September 4, 1997 she married the love of her life Tommy Clinard in a little ceremony at the Wedding Chapel in Springfield and spent their honeymoon in Gatlinburg. They returned to Gatlinburg and Chattanooga on vacations over the years, however, they both loved staying home and enjoyed watching their 11 grandbabies grow up Robin was looking forward to the arrival of her newest granddaughter. Robin will forever be remembered as a kind loving friend that cared for so many over the years. She is preceded in death by her parents Frank and Nancy Bradford and her daughter, Denise Stockton. Robin is survived by her husband of 20 years, Tommy Clinard; children, Michelle (Donnie) Duke, Tiffany (Patrick Coofer) Stockton, Dustin (Brittany Coats) Stockton, TJ Clinard, and Anthony (Jordann) Clinard; her beautiful twelve grandchildren, Christopher, Elizabeth, Blake, Brianna, Kamdyn, Malik, Ayanna, Jayda, Carolina, Eli, Kaelynne, and Edward and brothers, Ricky Baublitz, Glenn Bradford, and Danny Bradford. A Life Celebration will be held on Wednesday, November 21st at 2pm with Brother James Jett officiating burial will follow at Elmwood Cemetery with Kenny West, Eddie Clinard, Buddy Duffer, Johnny Clinard, Robert Clinard and Brandon Clinard serving as pallbearers. The family will receive friends on Tuesday, November 20th from 4-8pm then again on Wednesday from noon until the time of service. These arrangements were entrusted to Springfield Memorial Gardens, Funeral Home and Cremation Center 4005 Memorial Blvd Springfield, TN 37172 615-384-6652 www.springfieldfh.com. Robin, even though you were married to my brother, you will always be my sister. I’m thankful the suffering is over for you and you are now dancing and singing in Heaven with our Lord and Savior. Until we meet again. Robin you became. Mom to me when mine passed away. I will forever be grateful to you and love you more than I could say! You even treated me like a mom by telling me I needed to hear instead of what I wanted I love you for that! I just know my mommas gonna be your breakfast coffe pal! Fly high angel you are so very missed! Robin, I didn’t have the pleasure of meeting you…I felt like I knew you from Michelle mentioning you so many time. We all love Michelle and all her family, we will love and take care of her. Robin was a sweet lady, just met her 2 months ago, we attending class together on Sunday nights. I was shocked of the hearing of her passing. She loved her family and talked of them often. She will be missed. My prayers our with the family, May God comfort you with his loving care. Robin, you will be missed. I’m going to miss your beautiful smile everyday. You had the most beautiful soul I knew. You would’ve done anything for anybody. I will always remember all the times we worked together at waffle House. Almost everyday you would bring candy to share with us. I will remember the day you gave me a ride home. I also will always remember you taking care of me, when I spilled hot coffee all over my neck, and you putting egg yolk on it to stop it from burning, you had my back, and you cared. I love you. Thank you for being my friend. Our family is deeply saddened by the passing of Robin. We’ll always remember her fondly and feel lucky that we had the pleasure of knowing her, she will be very missed. Our prayers are with you and your family during this difficult time. We are here if you need anything.